OpenLMIS, SELV, iSC. To most people these acronyms don’t mean much. 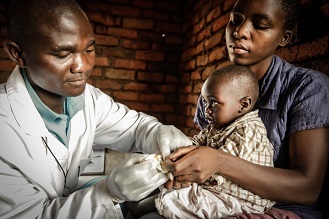 To me, they tell a story of getting vaccines to the most remote communities in Mozambique. Sistema Electronico de Logstica de Vacinas (SELV) is the local name of a software used to record information about where vaccines need to go and how they are going to get there – an implementation of OpenLMIS, a logistics management information system (LMIS). As the Information Systems Officer at VillageReach, it’s my job to provide technical assistance and support for this critical software. The BETA version of OpenLMIS 3.0 was launched last week, representing a major milestone in the evolution of software that continues to demonstrate the import and impact of robust information systems at the last mile. Over the last few weeks, my colleagues and I traveled to five provinces around Mozambique to talk about SELV. In some provinces like Cabo Delgado, SELV is an established tool. In others like Maputo City, SELV is brand new. VillageReach and the Ministry of Health are just beginning to expand the reach of SELV to all eleven provinces, so this trip provided me an opportunity to meet stakeholders, introduce myself as a resource, and find out how we can better support SELV within the immunization supply chain. The differences between West Africa and Southern Africa are well known, even if partially built on generalizations and stereotypes. There are personality differences, language differences, different foods and ways to eat, different and distinct rhythms heard in discotecas. While regions and individual countries are culturally unique throughout Africa, many share the same challenges and goals when it comes to improving their health systems. A few of these similarities stood out when the Ministry of Health in Mozambique hosted a team from the Ministry of Health in Togo this past week. 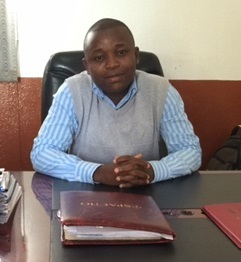 The Togo team—Dr. Napo-Koura Gado Agarassi, Secretary General of the MoH; Dr. Ayi Hervé D’Almeida, Director of Procurement and Inventory Management; Dr. Amevegbe Kodjo Boko, National EPI Director, MoH, Togo – came to Mozambique to better understand how this country runs its supply chain for health commodities and what lessons can be learned between the two countries. I recently returned from a week in Mozambique with a goal of learning about new immunization supply chain models and observing their impact. I also wanted to better understand opportunities and constraints for taking this work to scale — in Mozambique and across other Gavi-eligible countries. 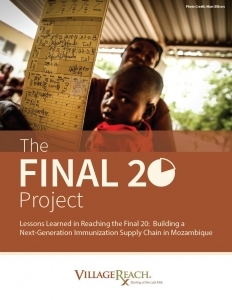 In 2013, the Gates Foundation began working with five provincial governments in Mozambique, the national ministry of health, and VillageReach on a new system for delivering vaccines. The new system represented big changes over their current design. It takes a holistic approach – reconfiguring the transport system, re-assigning roles and responsibilities of personnel, obtaining and using data differently, and integrating supervision and cold chain maintenance into monthly vaccine distributions. I was able to get a first-hand view and see some impressive results of this “next-generation” system while in southern Mozambique’s Gaza Province. In Gaza, there’s now a much better chance that when children show up at a health center for immunizations, the vaccines will actually be there. Vaccine stockouts have dropped from 43% in 2012, before the province revamped their system, to routinely less than 3% today. Summary: Dr. Ramos Mboane, Provincial Chief Medical Officer in Mozambique shares insights on key factors countries should prioritize to make #vaccineswork. 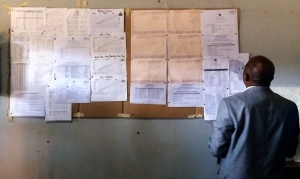 A few weeks back, my colleague Rachel Powers wrote about VillageReach’s customized deployment of an open-source electronic logistics system (OpenLMIS) in Mozambique, where it is referred to as SELV (Sistema Electrónico de Logística de Vacinas). Along with members of our team, she and I have been closely working together in the development, user testing, and launch of SELV in-country. 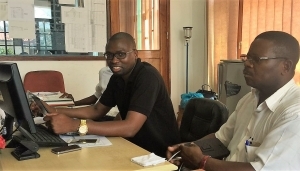 When I facilitated a week-long training in Maputo in June this year, the excitement I felt about SELV and the positive changes it could bring about was reflected in the faces and attitudes of everyone present in the room. The 15 people being trained included a mix of provincial-level vaccine logistics staff who would use the system regularly and central-level government officials in-charge of country-wide vaccine logistics and monitoring and evaluation of newborn and child health statistics.